Twenty-four year-old Jun Kanemaru met his girlfriend, a runaway, via an online dating site. 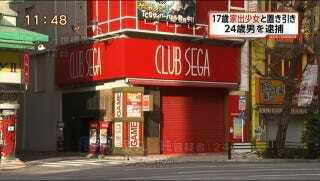 Once a couple, they allegedly stole from arcade gamers in Tokyo's geek mecca Akihabara. Today, Fuji News Network reports that the unemployed Kanemaru and his unemployed girlfriend were arrested for allegedly stealing a wallet from a woman's purse. At the time of the alleged robbery, the victim was playing an arcade game, and her purse contained roughly 52,000 yen (US$502). It's not uncommon for people in Japan to carry large amounts of cash on them. In the past, the society was very much cash-based, but that is changing. "Up until now, we've pickpocketed about seven times to pay for our living and gaming expenses," Kanemaru is quoted as saying. FNN reports that Kanemaru would serve as look-out while his girlfriend swiped gamers' wallets. No word on what video games they played.